Today's post is a very special post as I will be sharing a recipe of an Indian Pickle "Achhar" for the first time in my blog:) In India, pickles are prepared by finely chopping the vegetables and marinating them in brine solution or edible oils. Although, the recipe of pickle changes from region to region but pickles form an essential part of the meal everywhere:). In India, homemade pickles are prepared during summer and allowed to mature by exposing them to sunlight. The pickle is generally covered with muslin while it is maturing. The spices, oil and the salt in the pickle act as the preservatives. In the southern parts of India, sesame oil is used in pickles while mustard oil is used in the northern parts. I had never tried making pickle at home all this time. So for my first recipe , I wanted a simple and an instant pickle recipe. 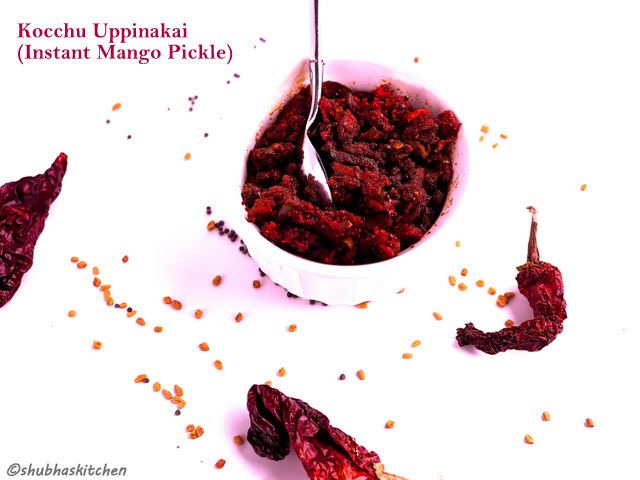 I will be sharing a pickle recipe commonly prepared in Udupi region of Karnataka "Kocchu Uppinakai". 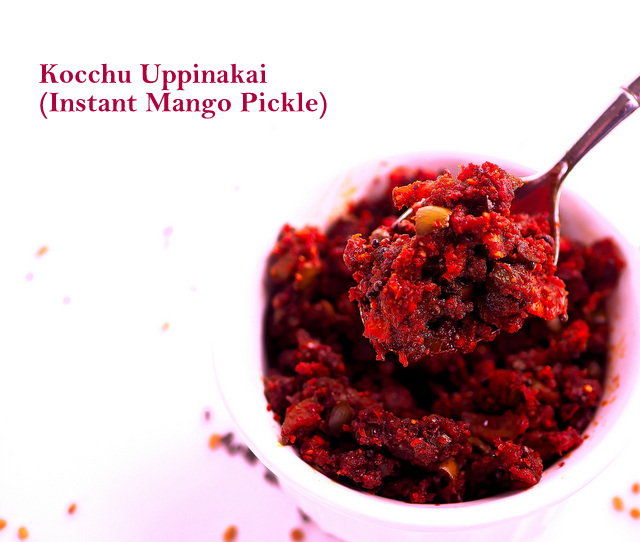 The word "Kocchu" means finely chopped or minced while "Uppinakai" means pickle. Growing up, my dear aunt (dad's sister ) would often send some of this pickle and believe me she is one awesome cook and the pickle used to taste divine. I got some help from her while coming up the recipe:) Its an easy recipe with not too much of prep work needed. Wash the mangoes and wipe them completely dry with a clean towel. Finely chop the mangoes. Put some salt and turmeric powder . Set it aside for 15 minutes. Dry roast 2 tsp mustard seeds on low- medium heat. Set it aside. Heat 1/2 tsp oil . When hot, add the dry red chillies, fenugreek seeds and hing / asafoetida. Fry on low heat. Set it aside. 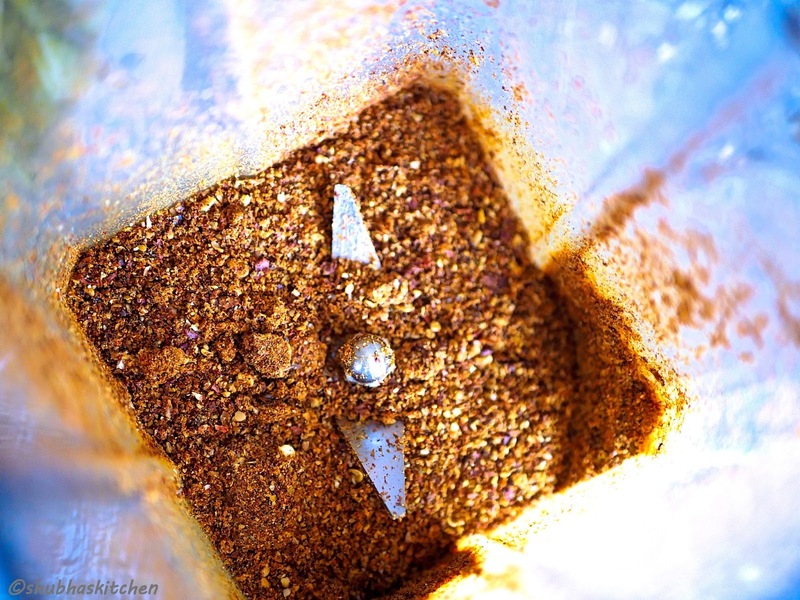 Once it has cooled, grind it in to a fine powder. Heat 4 tbsp oil. 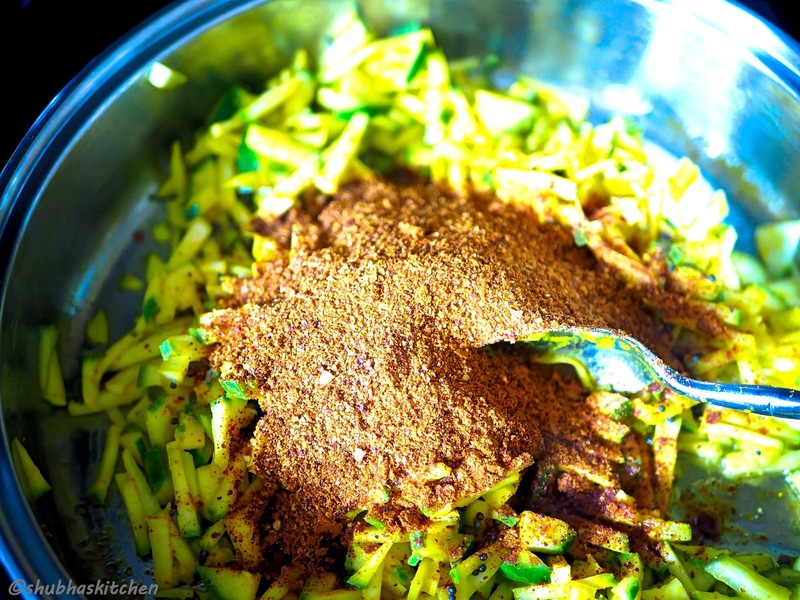 When hot, add 1 tsp mustard seeds. 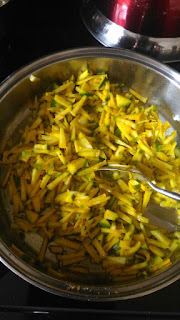 When they start to splutter, add the finely chopped mangoes. Stir well. Add the the powdered spice mix and cook on low heat . Cook until the mango pieces are well cooked. Adjust the salt (remember we had added some salt earlier). 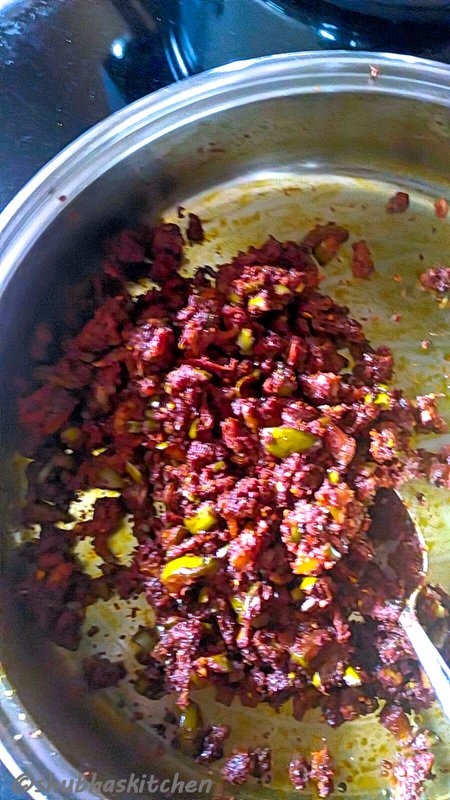 Instant mango pickle is ready. Once cooled, you can store it in air tight container for a week. It can be stored longer if refrigerated. 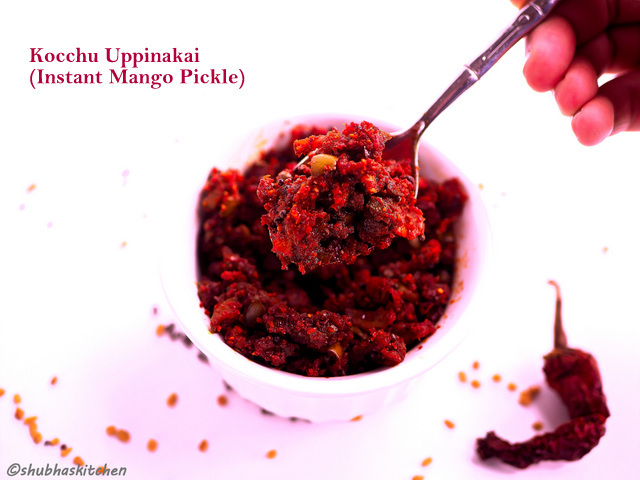 Wow,Mango Pickle looks just so perfect, instant and tempting to be had with rice and roti. Superb and mouth watering!! I have no doubt whatsoever that this instant mango pickle can turn any mundane meal into a delight. Love it totally!! Loved ur uppinakai recipe subha.The way you cut the mango is awesome. We call this pickle as kochgaayi.. Very tasty and delicious instant pickle.. Thanks for the recipe dear, looks inviting! I love that it's an instant pickle, very handy indeed when you realise you've run out! Thank you for the recipe! Simply Awesome recipe, I am bookmarking this recipe for trying..loos so delicious to me.